The Kent family decide to take a vacation in Superman #27: Declaration Part 1 when exhaustion and the super-heroics of recent events in their lives catch up with them. It’s a road trip full of fun, insightful detours, and the unexpected as DC Comics Super-Family enjoy some much needed R&R. But with a dark threat looming on the horizon their probably going to need another vacation to get over this one before they are through! I simply cannot express enough what a joy Superman #27 was to read. Like the Kent’s, I’ve also been feeling in need of a vacation myself (which is why I took break from reviews N stuff to enjoy Wimbledon), and this issue exemplifies everything I love about Superman since the characters renaissance following DC’s Rebirth. The family dynamic is what makes this title so enjoyable and fun to read. Writers Peter J Tomasi and Patrick Gleason craft a delightful issue here as Lois decides her family needs a vacation, Jon’s glee at checking out their hired camper van is also great fun, and even Clark is forced to agree they need a break after nodding off mid-flight as Superman! The most compelling and insightful aspects of this issue are explored through the places they decide to visit on their Super-Road Trip. Scott Godlewski’s clear and concise artwork and panel layouts sublimely captures the essence of each location: from the exhilarating fun of bodysurfing at Niagara Falls, to the moving and remarkable story their visit to Rock Ridge Cemetery brings, even something as mundane as a bumper sticker holds a symbolic message of freedom, belief, and coexistence for Jon, together with stops in New York and Philadelphia, are amongst the many highlights that features in this superbly illustrated issue. It is the people the Kent’s meet along the way that really make this road trip feel like you are witnessing something distinctly special as you read this comic book though, non more so, than when they are joined for dinner by war veteran Ryan Duffy. Needless to say this scene is brilliantly handled, it holds some of this issues most powerful and moving moments of all, and provides a fitting closure for this leg of the Kent’s road trip. Superman #27 rounds everything off with a lovely scene for Lois and Clark, however a foreboding new menace is developing, duty calls, but this vacation is far from over just yet… I started reading Superman with the Multiplicity arc way back in issue #14 after someone recommend it to me. I’ve never been an avid reader of Superman, certainly not during The New 52, but since reading that issue I’ve become hooked on reading the Rebirth version of Superman. Although I’m abstaining from reading any of the big comic book events, crossovers, or tie-in issues from ANY of the major publisher this year – TBH I’m fatigued and burned out by the constant monotonous deluge of these events that I find I can muster little or no enthusiasm for them right now – I have to say when I read comics as good as Superman #27 its clear to me why I feel this way. Superman #27 is, frankly, one of the best comics I’ve read this year. 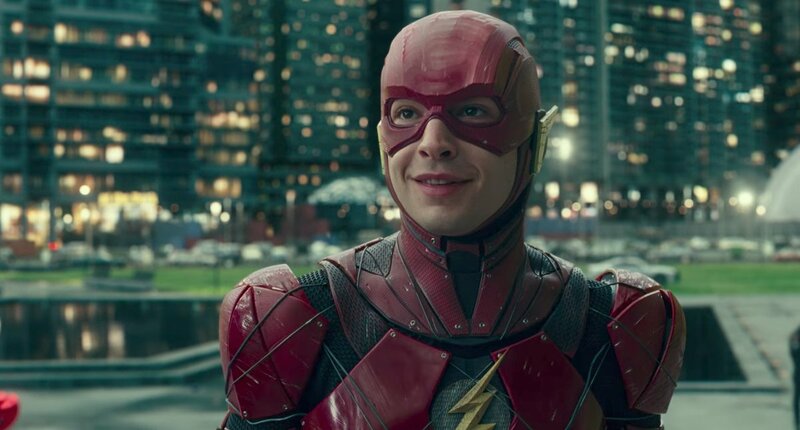 Its not flashy, its not a universe shattering epic, and there’s hardly any superpowers on show, its just a meaningful, beautifully told story that will challenge you and make you stop, think, and ponder long after you’ve finished it. In short, Superman #27, as well as providing a shining and timely reminder of just how brilliant comic books can be, is without doubt probably as uplifting and magnificent an issue you’ll read this year, and I cannot recommend it highly enough. Superman #14 kicks off the New Year in fine style with a multi-Earth epic! 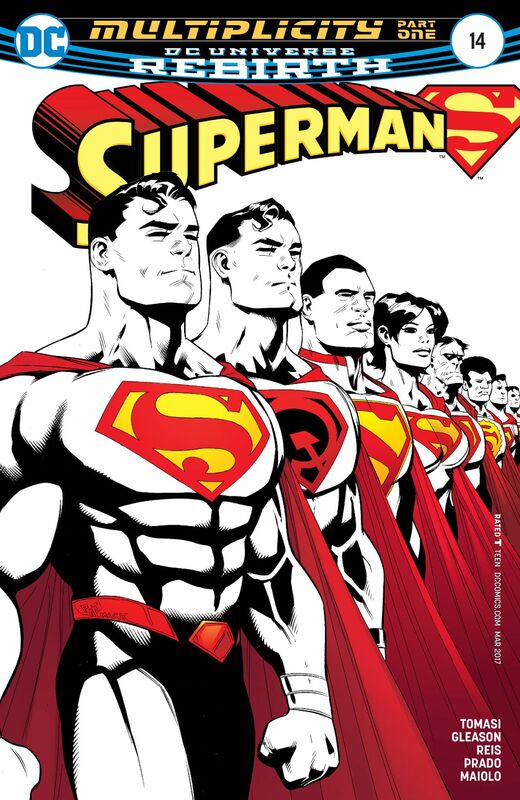 Multiplicity Part One is steeped in the legacy of the character and world of Superman, as writers Peter J. Tomasi and Patrick Gleason offer an action packed opening instalment to this adventure, with art by Ivan Reis, Joe Prado, and Marcelo Maiolo that sees Kal-El discovering a new threat that is collecting all the Supermen throughout Multiverse! After inexplicably running into, well almost, the badly beaten Red Son Superman of Earth 30, Kal-El quickly learns of his counterpart’s plight. Namely, that something, or someone called Prophecy and his army of Gatherers have been hunting the Superman of Earth 30 and countless other Supermen from across the Multiverse. Now the Gatherers have a new target, Kenan Kong, the New Superman of China, and the Red Son Superman has managed to escape from captivity to bring this warning to the Superman of our Earth. Peter J. Tomasi and Patrick Gleason move the plot along at a cracking pace right from the start. 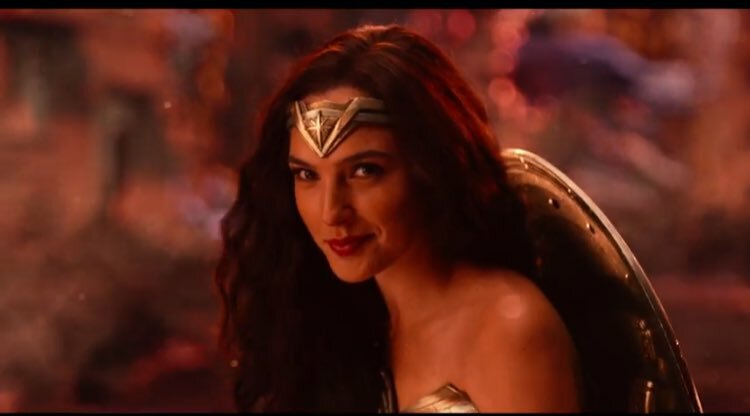 Its heavy on exposition in parts, but not distractingly so, and once the Gatherers – strange gangly creatures that look like they’ve just scuttled out of Pans Labyrinth – arrive, we get to see Superman and Red Son Superman of Earth 30 fighting side by side against these seemingly indestructible monsters. 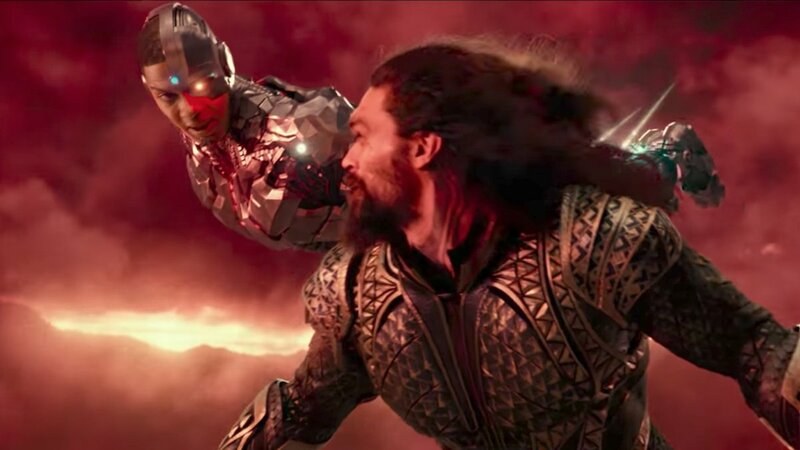 This all exhilarating stuff, but things really notch up a gear in the excitement stakes (especially for Grant Morrison fans) during a brief respite from the Supermen’s battle with the Gatherers when the Justice League Incarnate arrive! Yes, if you enjoyed Morrison’s sweeping Multiversity saga you are absolutely going to love this issue of Superman, and even if you are late to the party, there’s still plenty going on here to enjoy, and it’s explained in a way that won’t alienate or leave you scratching your head and wondering what on Earth is going on either. Superman #14 is a great looking issue, with art by Ivan Reis (Layouts), Joe Prado (Finishes), and Marcelo Maiolo (Colorists), and they do a fantastic job of juggling the numerous characters involved in this issue. One thing I really liked about this issue was how it never felt cluttered or sacrificed the finer details in any way, which can sometimes be the case when a large roll call of characters and different locations are involved. The opening battle with the two Supermen battling the Gatherers is especially good, its awesome to see both Supe’s really cut loose like this, and the Gatherers relentless chanting of two phrases becomes quite disquieting after a time. The colors are also gloriously rich and vibrant throughout. Then of course we have the return of the JLI characters from Grant Morrison’s Multiversity to enjoy, with a quick who’s who to bring everyone up to speed, and some insight of their mission to save the Supermen on the Gatherers “list” from being kidnapped a taken to a processing facility. 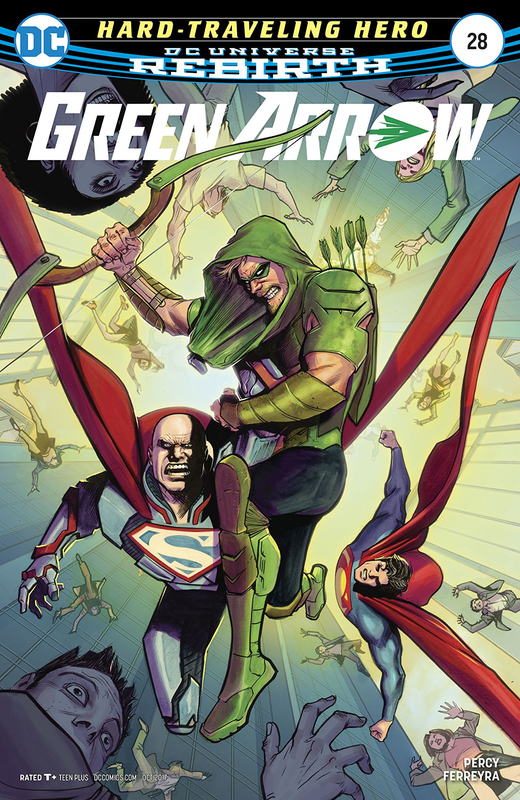 The issue builds to a frenetic and exciting close with Superman, the Superman of Earth 30, and the Justice League Incarnate attempting to save the New Superman of China from the Gatherers, and the glimpse of the terrifying fate that awaits the captured Supermen of the Multiverse also provides us with one hell of a cliff-hanger to keep us on the edge of our seat until the next issue! 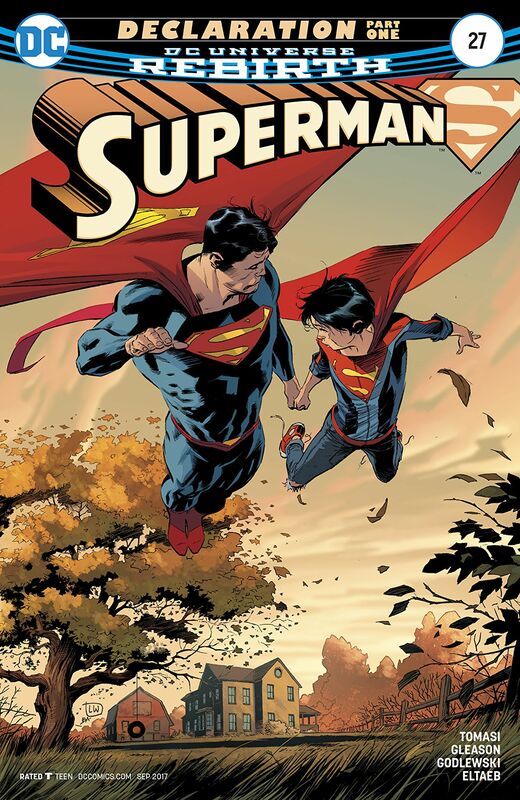 I’ve never followed Superman comics that much if I’m honest, most of the New 52 passed me by, so I’ve been reluctant to give the Rebirth Superman titles a go, until, that is, someone recommended Superman #14 to me to the other day. So, I thought I’d give it a whirl, and I’m sure glad that I did. Its been a long, long time since I’ve read a Superman comic that’s made me want to read the next issue right away, but Superman #14 certainly did! I’m a fan of Morrison’s Multiversity as well, so I think that was also a big factor in my enjoyment of this issue, but I was also very impressed by what Peter J. Tomasi and Patrick Gleason have done with this issue, the story was so engaging, especially for newcomers (like me), and the art by Ivan Reis, Joe Prado, Marcelo Maiolo was also exceptionally good. One thing is for sure, Superman #14 has got me interested in Superman comics again, and I’ll certainly be sticking around to see what happens next in this Multiplicity storyline. 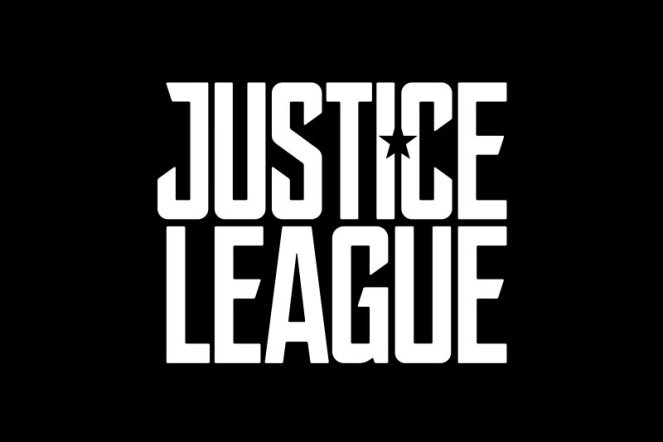 First Trailer For Justice League! 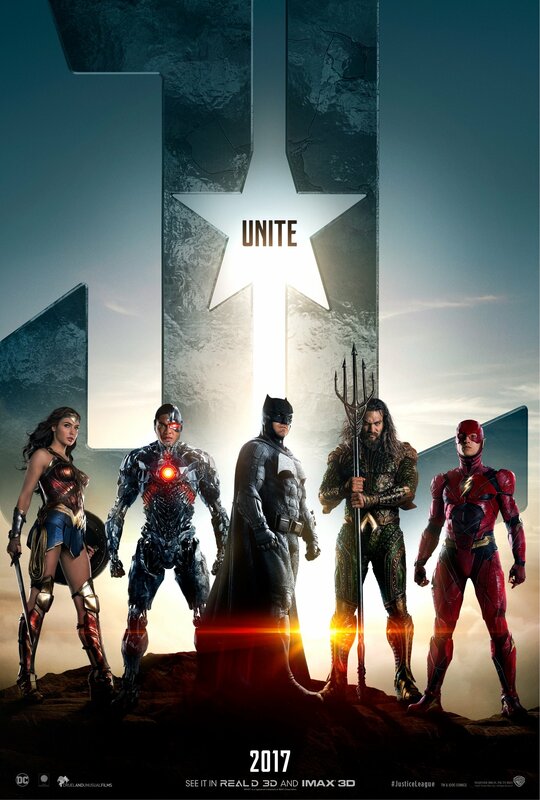 First Trailer For Justice League Released! 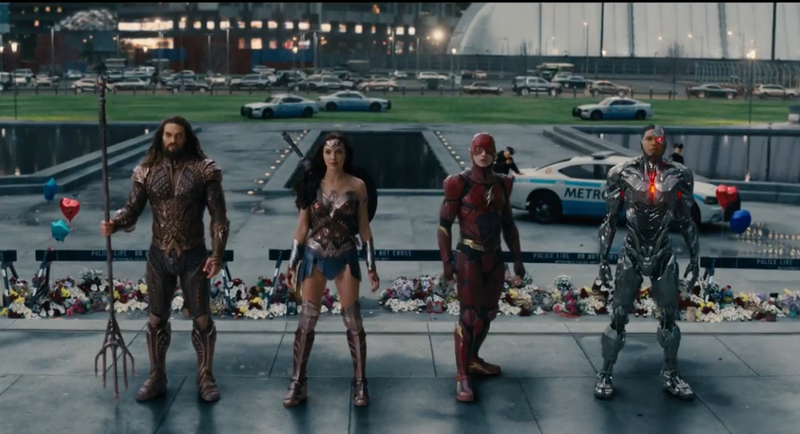 Warner Bros. have released the first trailer for Zack Snyder’s Justice League. Check it out, this looks awesome! 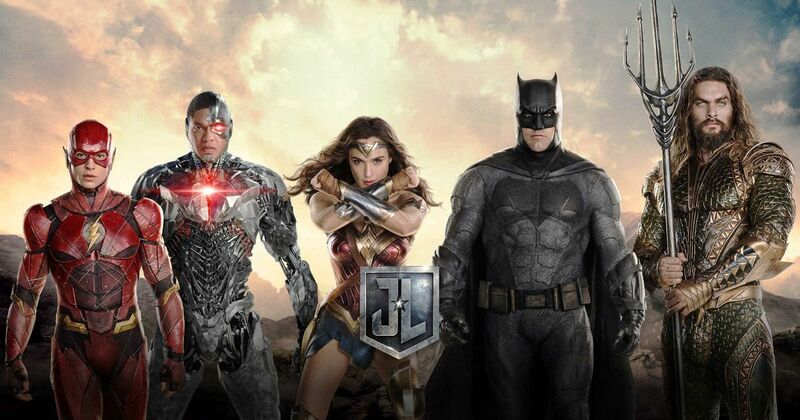 Justice League’ is set for release November 17, 2017. 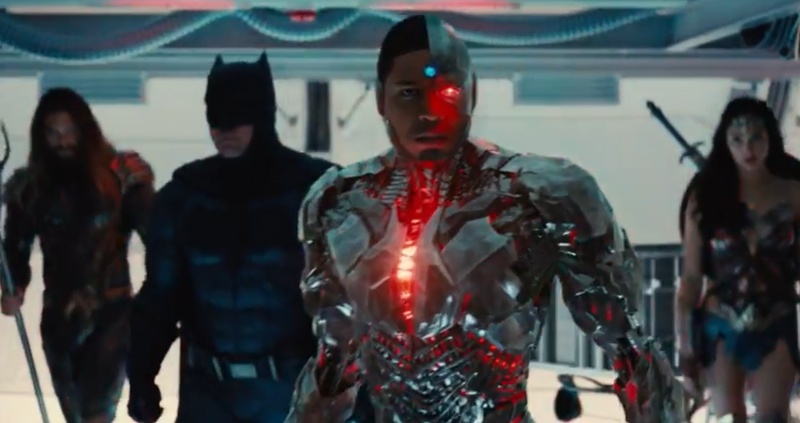 Batman v Superman: Dawn of Justice: Final Trailer Released! 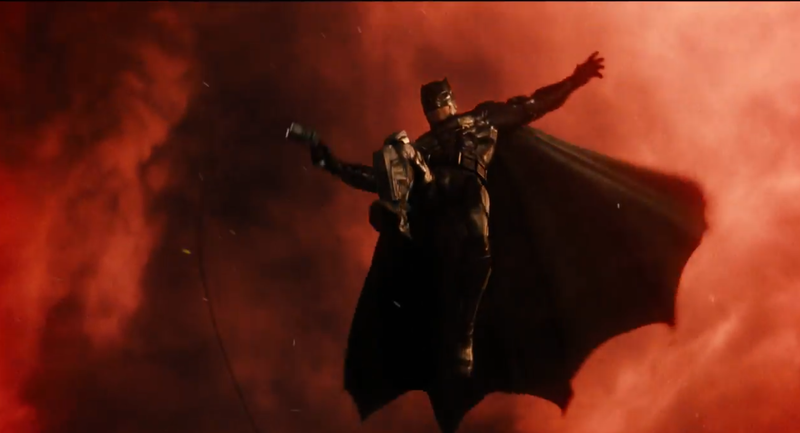 ‘Batman V Superman Dawn of Justice.’ Wow, this looks awesome! 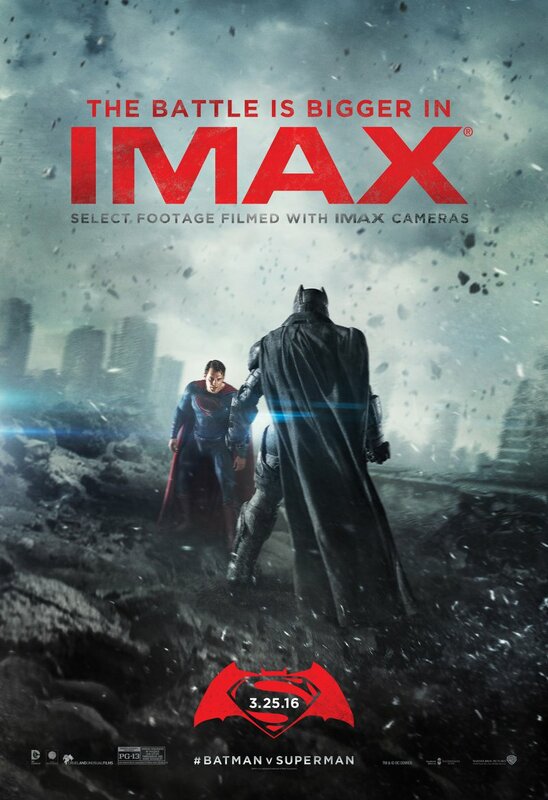 And there’s new IMAX Poster as well! 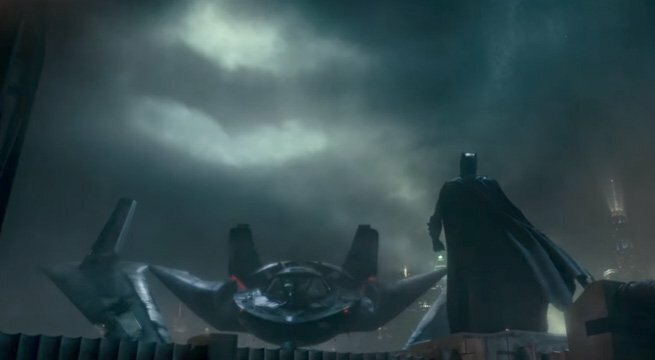 Batman V Superman Dawn of Justice Official Trailer 2! 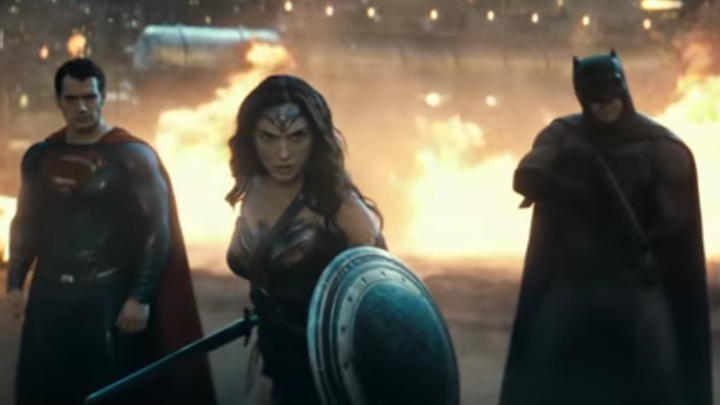 Check out the awesome Batman V Superman Dawn of Justice Official Trailer 2! 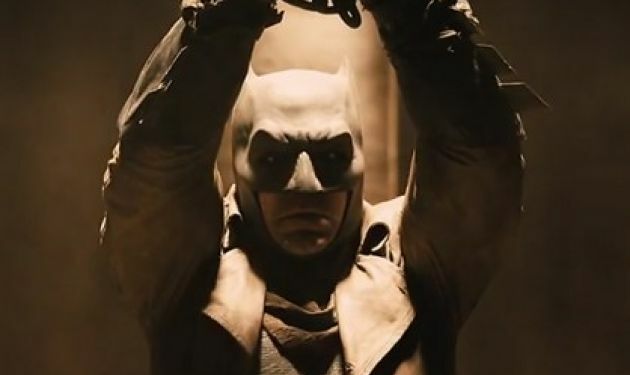 Check out the new teaser for the Batman V Superman Dawn Of Justice Trailer!